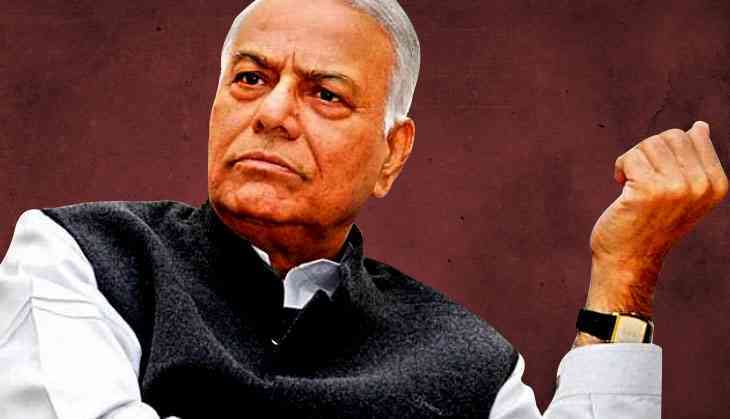 Former finance minister Yashwant Sinha on Tuesday demanded a probe into alleged diversion of Rs. 31,000 crore of loans by DHFL that the company raised from state-owned banks including SBI and Bank of Baroda, a charge the non-banking financial company termed as mischievous with a mala fide intention. According to a Cobrapost expose, Dewan Housing Finance Corporation Limited (DHFL) through layers of shell companies allegedly siphoned off Rs. 31,000 crore out of total bank loans of Rs. 97,000 crore. "If the government fails to order an immediate investigation into the allegations into the aspects including political funding, it would raise a question mark on the intent of the government. Therefore, I demand investigation under court supervision by a special investigative team," Mr Sinha said after the details of Cobrapost were revealed. DHFL in a statement said the company is publicly listed housing finance company and is regulated by the National Housing Bank and the Securities and Exchange Board of India, amongst other regulators. "This mischievous misadventure by Cobrapost appears to have been done with a mala fide intent to cause damage to the goodwill and reputation of DHFL and resulting in erosion in shareholder value," the statement said. The real intent of this exercise appears to be to destabilise the company and the market equilibrium besides hampering to meet the on-going obligations, it said. Mr Sinha also said the exposes raise question mark on the claims of the government of nailing down of lakhs of shell companies. All the agencies including regulators of the government have failed to track nefarious deals, he said. Citing exposes, he alleged that political donations were received by a political party. The exposes alleged that the scam has been pulled off mainly by sanctioning and disbursing astronomical amounts in secured and unsecured loans to dubious shell/pass-through companies, related to DHFL''s own primary stakeholders Kapil Wadhawan, Aruna Wadhawan and Dheeraj Wadhawan through their proxies and associates, which have in turn passed the money on to companies controlled by the Wadhawans. "The money has been used to buy shares/equity and other private assets in India and abroad, including in countries like the UK, Dubai, Sri Lanka and Mauritius," it said. DHFL is a responsible and law-abiding corporate citizen and all loans are disbursed in the normal course of business in accordance with industry best practices and in compliance with all regulatory norms, the company statement said. "The company's financial statements are submitted to the Stock Exchanges and are in the public domain. DHFL and its group companies are confident of meeting any scrutiny on any aspect of our operations and will pursue these frivolous allegations to its logical conclusion," it added. DHFL has a strong corporate governance regime and has received AAA credit rating from leading credit agencies. The company is fully tax-compliant and its books are audited by global auditors, it added. Senior lawyer and activist Prashant Bhushan said, "If the banks had done little due diligence, they would have known that the loans given to DHFL have been virtually siphoned out by shell companies. Therefore, it's absolutely clear that various people in many public sector banks are involved in the scam." The exposes claimed that by lending to shell/pass-through companies without due diligence, DHFL has ensured that the recovery of such dubious loans is impossible since the companies or their directors themselves do not own any assets. This way the private assets acquired by the Wadhawans and their associates by using the funds from these dubious loans are completely ring-fenced from any recovery process that may be initiated by authorities under the SARFAESI Act or Insolvency and Bankruptcy Code of India, it claimed. "Thus, the only losers in the process would be the public sector banks, such as State Bank of India and Bank of Baroda, with an exposure of over Rs. 11,000 crore and Rs. 4,000 crore, respectively, foreign banks and shareholders from among the public or investors of DHFL," it alleged.